This installment of the Art of the State Artist Interviews series features the State Museum Purchase Award winner, Sue Reno. 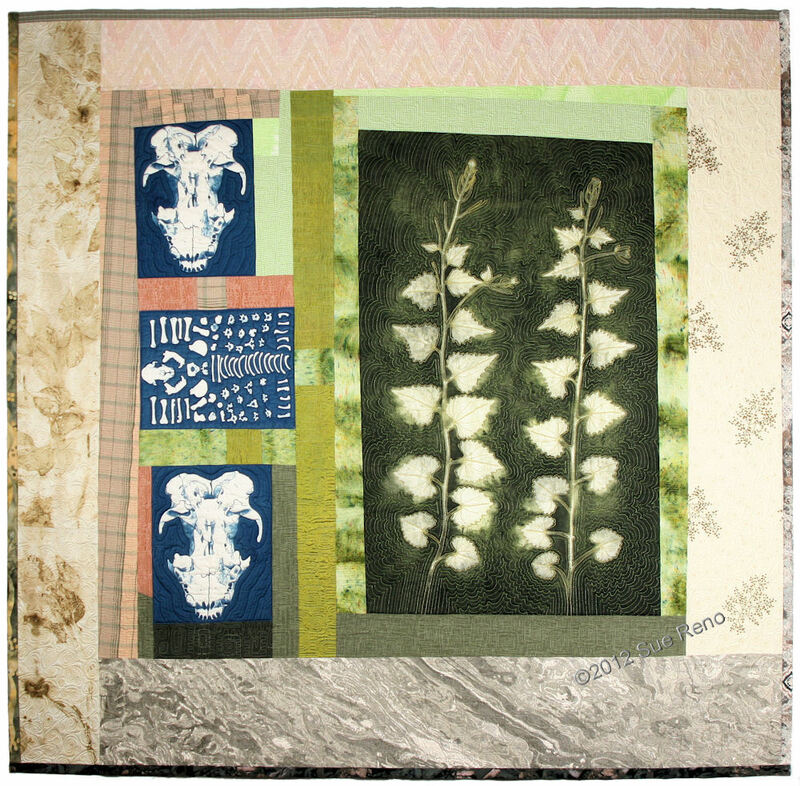 Sue is a fiber artist who works with cyanotype and other surface design techniques in creating art quilts reflecting her surroundings in bucolic Lancaster County, PA. (Plus she has good taste in jewelry) You can find her online at her website, her blog, and on Facebook. 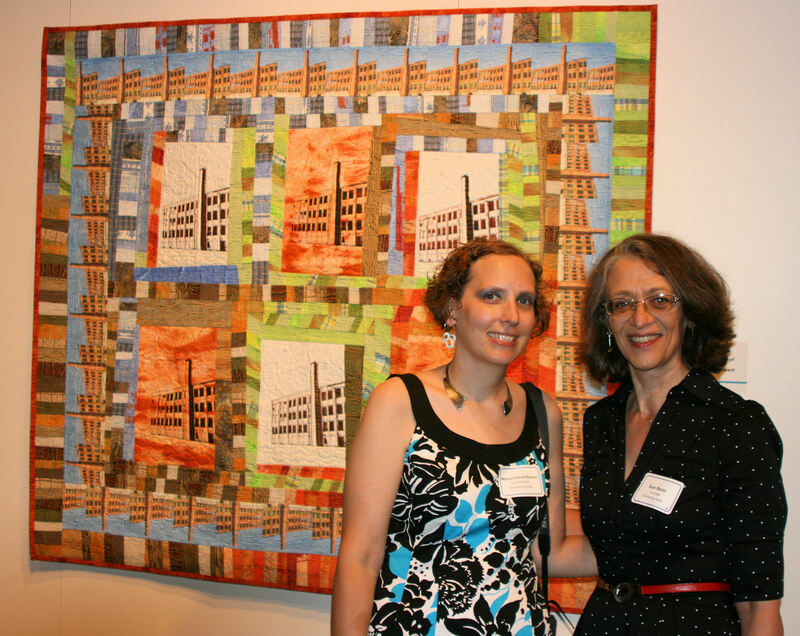 And of course you can see her piece, Silk Mill #3 at the entrance to the Art of the State: Pennsylvania 2013 exhibition at the State Museum of PA in Harrisburg. 1. How did you get started in your craft? I’ve been sewing since I was a small child, and have made everything from tailored clothing to slipcovers to contemporary hand-sewn quilts. 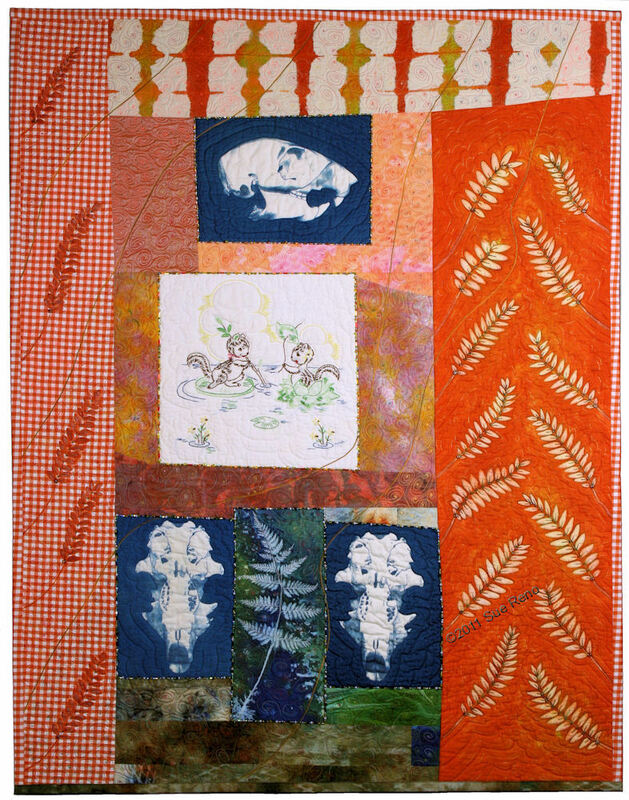 Over time I began to narrow my focus to making art quilts, and worked on learning and refining surface design techniques used to transfer imagery onto textiles. Once I started making cyanotypes I never looked back. 2. What has been inspiring/influencing your work lately? I’ve got twin passions at the moment. One is the Susquehanna River, which I’ve lived near for most of my life. 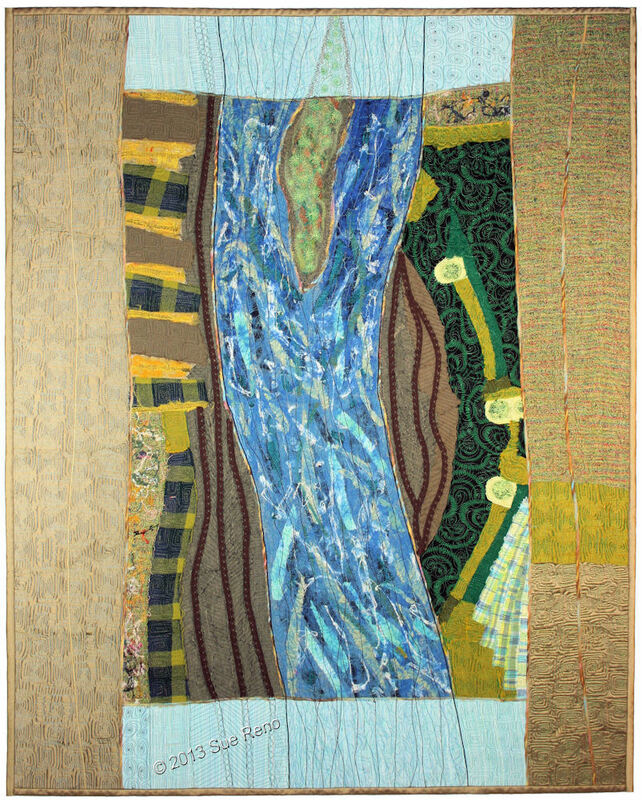 I’ve started working with a needlefelting machine to construct intricate layered elements of the river and surrounding landscapes, which I then incorporate into a quilt. I’ve completed one, In Dreams I Flew Over the River, and have several more in the works. I’ve got several in various stages of construction in the works, and I feel like with each one I’m drilling down closer to where I want to go with the series. And wonder of wonders, I was recently on vacation in Minnesota, and wandered into a tourist shop in Duluth. In the back, in a cabinet, they had some skulls for sale that I hadn’t been able to obtain before—a badger, a beaver, a mink and more! I can’t wait to start working with them. 3. Who are your favorite artists in your field? What I love about all three of these artists is that they are storytellers and also straight up truth-tellers, who let their unique voices shine through in their work. 4. What is your favorite customer quote or story? 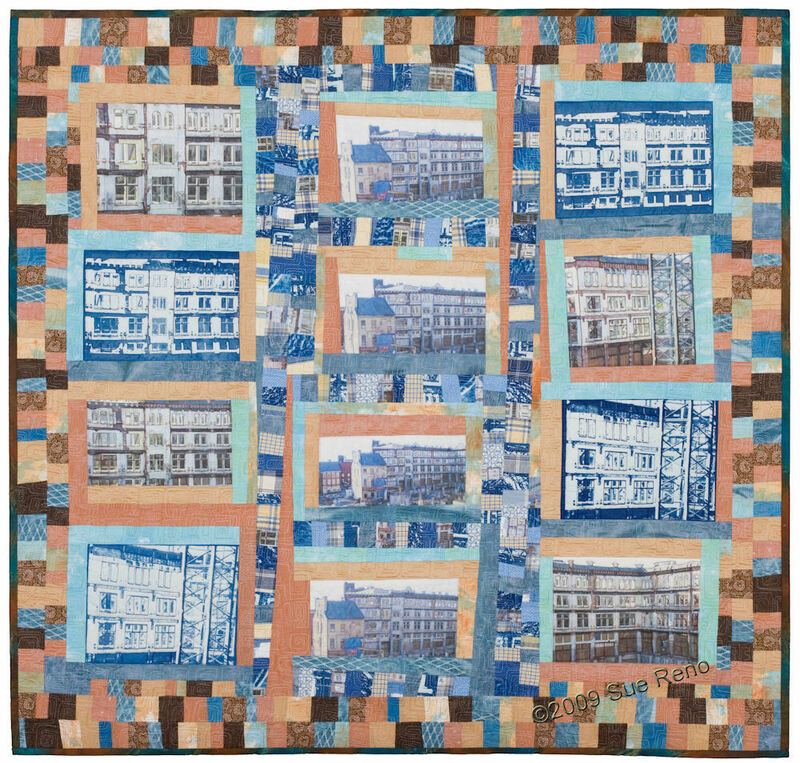 When I was showing my series of Watt & Shand quilts, a lot of people who came to the opening told me stories about their memories of the building from when it was a department store. One man shared how his father, a Greek immigrant, got his start in this country selling peanuts on the sidewalk outside. Several talked about the gifts from their wedding registries, and eating in the restaurant. The best was a woman who pointed to a particular window in one of my images, which used to look out from the lingerie department, and recalled with humor her extreme embarrassment at shopping there as a young teen with her mother. I loved that my work was able to spark this kind of storytelling. 5. What is your favorite piece of art or fine craft that you own? I have a small collection of functional ceramic pieces by fellow PA Guild of Craftsmen member Angela Shope. They are a pleasure both to use and to display. I love her color sense and the dynamic tension of her work. Her patterning walks that fine line between chaos and control, and her imagery is fun and whimsical yet sophisticated. Nice interview Wendy, I love reading about Sue Reno’s work. Congrats to you both!